Inside Oakland is a public forum for Chamber members and their guests featuring public and private decision makers who affect Oakland. Previous speakers have included city council members, county supervisors, and other elected officials. The breakfast forum is free and is held at the Chamber offices, 475 14th Street, Oakland. Inside Oakland is held every fourth Friday of the month, attracts many notables, and is an excellent networking event. 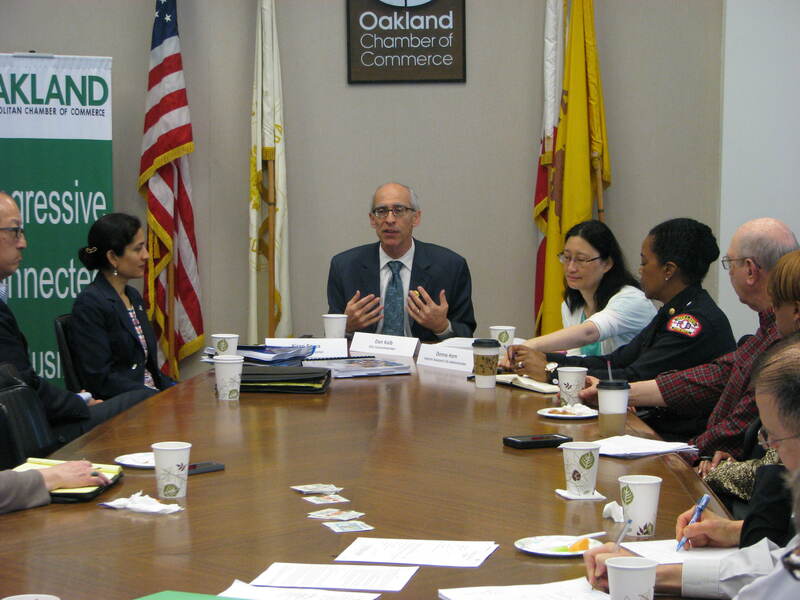 View the Chamber calendar for the next Inside Oakland breakfast.